Last week I attend the Intel Developer Forum. Like my previous events with Intel, they changed my perceptions of the future in IT and how Intel is approaching the market. We have seen a lot of discussion around converged and hyperconverged systems in the data centre but the trend is happening across all parts of the IT market. 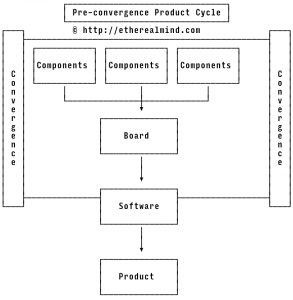 First, my current definition of IT convergence: “Elements were previously separate are now bundled into a single, integrated unit”. With this definition, convergence can be at rack scale with Cisco’s Hyperflex, Nutanix or Dell Converged Infrastructure range. Containers are converged bundles of operating system, libraries and applications into a single functional unit. 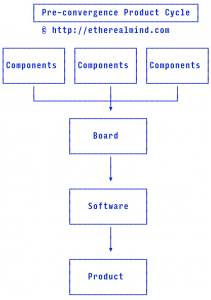 Before: Intel makes the silicon and then partners put the chips onto boards, further down the line a company builds an operating system, then builds a framework then an application that is presented to users. Explore high-end computing in a tiny form factor and scale prototypes quickly. Featuring a complete suite of software, tools, and preloaded Linux* packages, this powerful system on module (SoM) was designed to help inventors and IoT developers create more, faster. Contribute to a new generation of robots, drones, and IoT devices that are equipped with Intel® HD Graphics, 3D modeling, object recognition, and interactive capabilities. 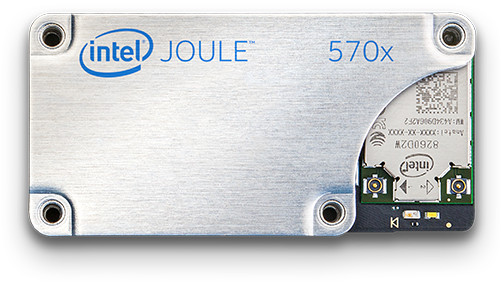 The Intel Joule a combination of silicon, operating system and software. This means that developers can start prototyping hardware devices in a shorter time frame. It’s a complete low-power solution designed for wearable devices and consumer and industrial edge products. The Intel® Curie™ module is ideal for always-on applications such as social media and fitness activities. integrated with Zephyr Project, an open source, real-time OS. Get access to Arduino core libraries, tools, and documentation with the alpha release Intel® Curie™ Open Developer Kit (ODK). This device integrates sense, compute, and connect capabilities in an all-in-one candy bar size form-factor. Equipped with a RealSense camera, an Intel® Atom™ processor, and wireless connectivity, the kit comes pre-installed with a developer-friendly utility application. This is not the vision of Rack Scale Architecture that I saw two/three years ago where the CPU/Memory would be completely abstracted into line-cards on a custom chassis & backplane using a high speed bus. Maybe this is the best we can do. PCIe networking isn’t new. There is a long list of failed startups that didn’t make a dent in the market. Rack Scale Architecture is an example of convergence at a larger scale. We already have blade/chassis servers that deliver hardware convergence for a smallish percentage of highly profitable Enterprise customers. HPE Synergy composable infrastructure is closer to intel’s vision of RSA while EMC’s Vblock are more legacy oriented (a single purchase rather than an integrated product). It possible that silicon photonics will change how the PCIe interconnect works but silicon photonics has been coming for a decade and we still don’t have it. I’ll wait to hear more on that front. I remain keenly interested in the future of 3D Xpoint as a replacement for/convergence of DRAM & SSDs in certain types of systems (IOT and Smartphones particularly). Strangely there was no news on this front compared to previous years and the asssumption is that production problems are mounting. I attended intel Developer Forum to record sponsored podcasts for PacketPushers.net. My opinions remain my own.